Modern refractory concepts for the Steel, Iron, Aluminium and Non ferrous industries use the advantage of both shaped and unshaped products equally. 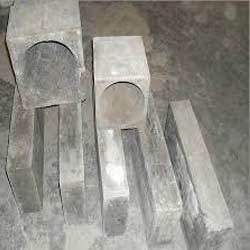 Counted as the prominent manufacturer, exporter, trader and supplier, we are engaged in offering a supreme quality High Alumina Refractory Bricks. Our offered bricks are processed using top quality basic material and modern processing methodology in accordance with the set industry standards. Owing to their availability in various shapes and sizes, the offered bricks are highly preferred in construction industries. Apart from this, our offered bricks can be availed by our clients at nominal prices. We are instrumental in offering to our clients with a wide array of Cement Brick. The offered bricks are processed & designed using high grade basic material and contemporary technology in compliance with defied industry standards. Our offered bricks are stringently tested by our quality controllers in order to dispatch flawless range at client’s end. Additionally, the offered bricks are available in alluring designs and patterns that can be customized to meet the varied needs of our clients. With our years of experience & in-depth knowledge in this field, we are engaged in offering a quality-assured array of Refractory Bricks. Modern refractory concepts for the Steel, Iron, Aluminium and Non ferrous industries use the advantage of both shaped and unshaped products equally. We have the know how and the products to implement the individual concepts at all time. For all areas of production in the steel industry where there is a demand for refractory technology, we offer products and solutions which are adapted fundamentally to our customer's individual situation. 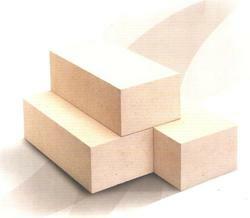 In this endeavour, we are able to draw on our extensive range of refractory products. Amongst the other things we offer individual concepts for Steel, Iron, Aluminium and other non-ferrous Industry. We are actively engaged in offering the finest quality Acid Proof Bricks that is available in various sizes and dimensions. In adherence to the international quality standards, our offered bricks are processed using a quality approved basic material and modern techniques. 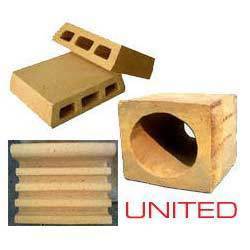 The offered bricks are extensively widely used for constructing building, houses etc. 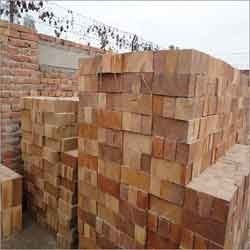 Additionally, the bricks offered by us can be availed by our clients at reasonable price.